The crisis in Edo state House of Assembly over the weekend took yet another pleasant dimension as Oba of Benin, His Royal Majesty (HRM), Omo n’Oba Solomon Erediauwa, appealed to all political gladiators not to plunge the state into crisis. 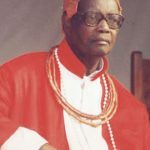 The paramount monarch also urged state political leaders to have a rethink and allow peace to reign in the “Heart beat of the nation-state. 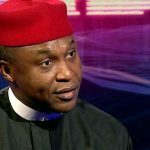 The appeal was made at a meeting between Oba Erediauwa, leaders of the ruling All Progressives Congress (APC) and opposition Peoples’ Democratic Party (PDP) in his palace. He called on the political parties to resolve their differences in the interest of peace and security of the state. The monarch in a statement issued at the parley thanked representatives of the political parties in attendance for honouring the invitation despite short notice. “I invited you to my palace to appeal to you on the need to allow peace continues to reign in Edo State, I know as politicians, you have a way of resolving political issues, no matter how delicate and sensitive the issues are. Politicians in Edo State, regardless of whichever political parties they belong to, I am quite sure, will do all they can to ensure that our great state especially Benin City, is not made ungovernable for political reasons. 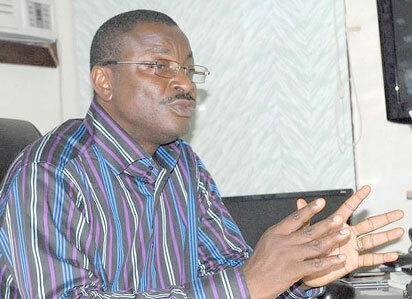 I know as citizens of Edo State, you will always do all you can to protect our people and our land”. 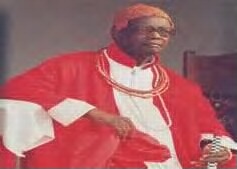 Oba Erediauwa emphasized. At the parley were the state Deputy Governor, Dr. Pius Odubu, and Chief of Staff to the Governor Hon. Patrick Obahiagbon, while, the opposition party was led by its state Chairman, Chief Dan Orbih, former Deputy Governor, Mr Lucky Imasuen, former SSG, Pastor Osagie Ize-Iymu as well as factional and suspended Speaker Hon Festus Ebea. 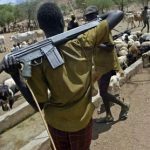 It would be recalled that the State House of Assembly, had on last Monday suspended four lawmakers, namely, Hon Froday Ogieriakhi, Festus Ebea, Jude Ise-Idehen and Patrick Osayimwen over unruly conduct. But in a dramatic twist, the suspended four lawmakers with another five, allegedly with the support of the opposition party, slammed a counter suspension on the Speaker, Rt Hon Igbe and other principal officers of the House at a session which has been described as illegal as they broke into the Assembly complex and held the sitting without a mace –the symbol of authority.